The workplace has dramatically evolved over the last decade. The saying “work is no longer somewhere you go, but something you do” reflects the cultural change brought by a new generation of workers, coined as Millennials, with an insatiable need for flexibility, collaboration and openness. For Millennials, and their supporters, the workplace is not a static environment or limited to specific hours (9am to 6pm), but one that operates anywhere, anytime, on any device, and essentially fits their modus operandi. 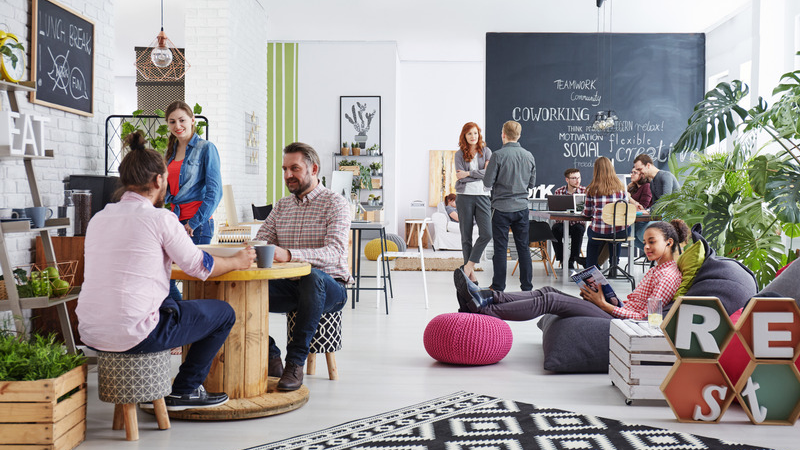 Whether they’re traveling, off-site with a customer or working from home, this new breed of employees transforms any environment into a “workspace”. Interestingly the evolution of the workspace is not solely developed by employees, from the bottom of organizations, but fully driven by C-executives. For the latter, the workspace fits within their broader Digital Transformation strategy and brings greater productivity (always on), collaboration and employee satisfaction. The digital workspace is still an emerging concept but highly promising across industries. For example, doctors can have up-to-date medical records and improve patient care; field force engineers gain productivity with mobile business processes; and so on, the list in endless and this is just the beginning. Whilst many technologies are playing a part in the concept of the Digital Workspace, mobility is fundamentally the most empowering at present. According to IDC, 56% of the European workforce were mobile in 2017. As such, mobility vendors are re positioning their solutions for a new audience, i.e. employees, and have business in mind. This renewed market approach is most welcome. The mobility industry’s past focus on BYOD and security failed to gain much popularity among European end-users, mainly because the latter felt that those solutions were intrusive to their privacy. By shifting their focus on the employee and the use case, mobility vendors are building trust and breaking the barriers of the past. AI is also shaping the evolution of the digital workspace but is still in its infancy. Only a few vendors have incorporated some form of intelligent analytics in their workspace solutions so far, mainly targeting cybersecurity or app usage, but this is just the beginning. AR technology, for instance, is highly promising and the proliferation of use cases growing rapidly (e.g. remote assistance, warehousing and logistics, prototyping and even collaboration). CIO Inertia: IT departments are over-stretched and under-resourced and are not well placed to support — let alone drive — innovation in their organizations. Shadow IT: Given the “command and control” approach by IT departments, which cuts employees off from sources of innovative technology, Shadow IT becomes a legitimate skill source. Lack of buy-in from business managers, creating an organizational disconnect, resentment, and likelihood of project failure. Intergenerational conflict and work expectations, with Millennials clashing with more traditional workers, who might prefer a static and closed environment. The learning curve for the industry and most particularly for organizations is steep but the journey is fascinating. IDC has set up a Future of Work research practice with a three-pronged focus, addressing the transformation of the workplace (Space), talent sourcing and organizational change (Culture) and the involvement of robotics and AI (Force). Their first study titled “Mobility at the Heart of the Digital Workspace” is already available for our readers. Stay tuned! If you want to learn more about Future of the Work, please contact Angela Salmeron.